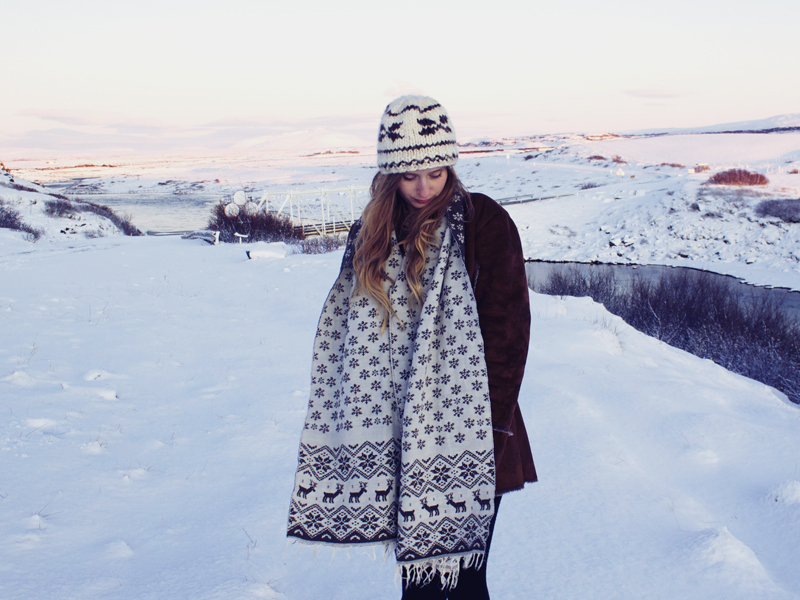 Something which seems to be seamlessly on trend each and every winter is fur. I don't approve of real fur, I do see the benefits of faux fur and how cosy it can be. I have a couple of faux fur accessories myself which really keep me warm in the cool, dry months in winter. 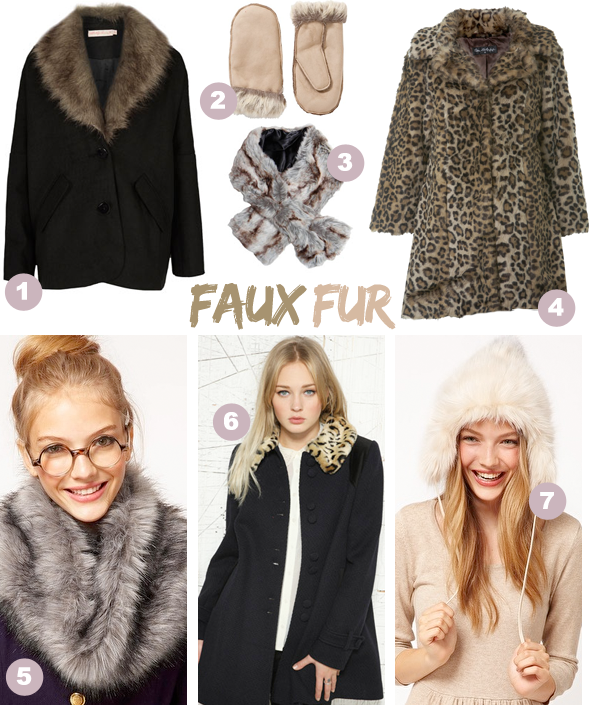 Beware of wearing faux fur though as it don't hold up well in the rain. It is always wise to check the weather forecast before committing to wearing your faux fur attire otherwise you may end up drenched and cold. 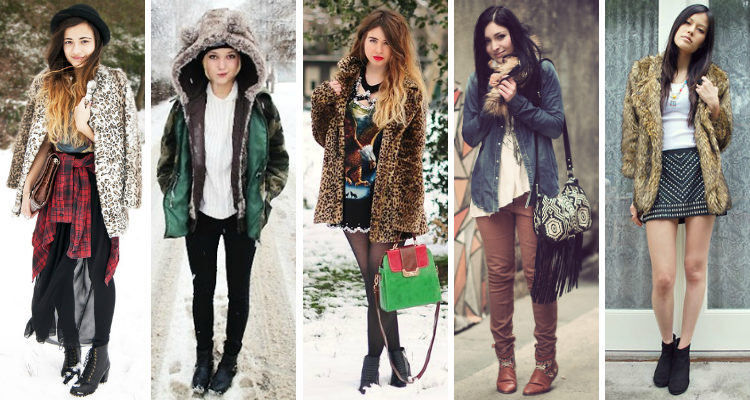 Below are some bloggers who really know how to wrap up warm in the faux fur trend. 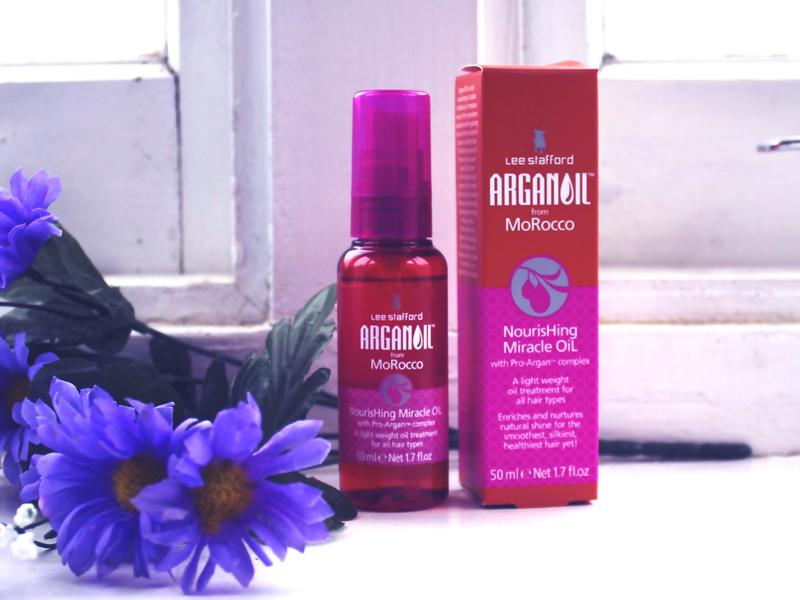 the product Moroccan oil hair serum. the look Healthy, soft and silky ends. 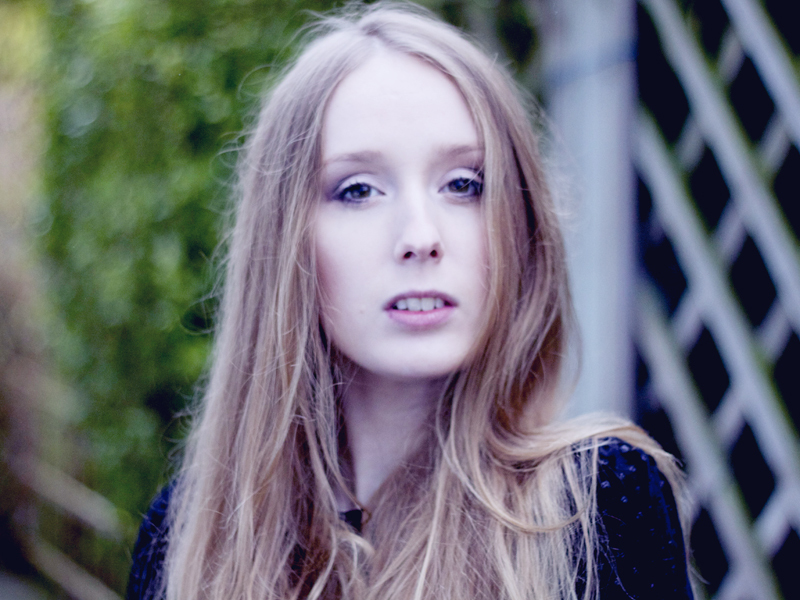 works well on Dry, fizzy or split ends ends. the verdict This hair serum has saved my hair on many occasions. I apply it after washing my hair after towel drying and occasionally apply it on the second day of having washed my hair if it is feeling a little dry at the ends. Every time I feel like the ends of my hair are getting a little rough and I could possibly do with cutting them I use this serum and the result is soft, silky ends that make me very happy. I strongly recommend this serum for anyone with long, fine, hair like mine who is wishing to keep their hair is the best condition whilst growing it. The best thing about it is that you can use it on dry as well as wet hair and it doesn't make your hair look greasy like some serums can do. Snow snow snow! 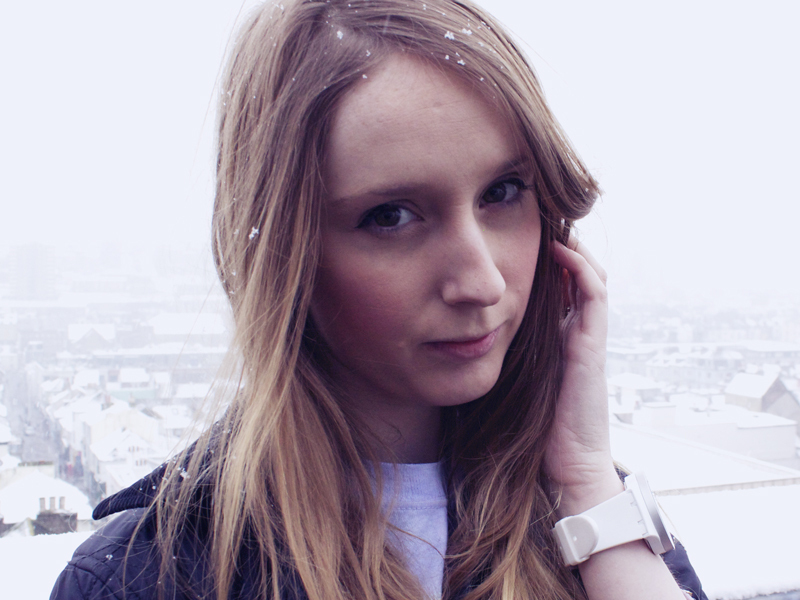 I love the snow :) I'm going to Estonia at the weekend and, although I absolutely love the snow I do hope it doesn't get in the way of my weekend plans. I received this lovely watch from atop timezone the other day. It has a special little dial on it which means you can tell the time anywhere in the world. This will be especially handy for me as I do love to travel and I'm planning trips to America and Australia this year. This watch means I won't have to fiddle around with changing the time or wondering what the time is back home. 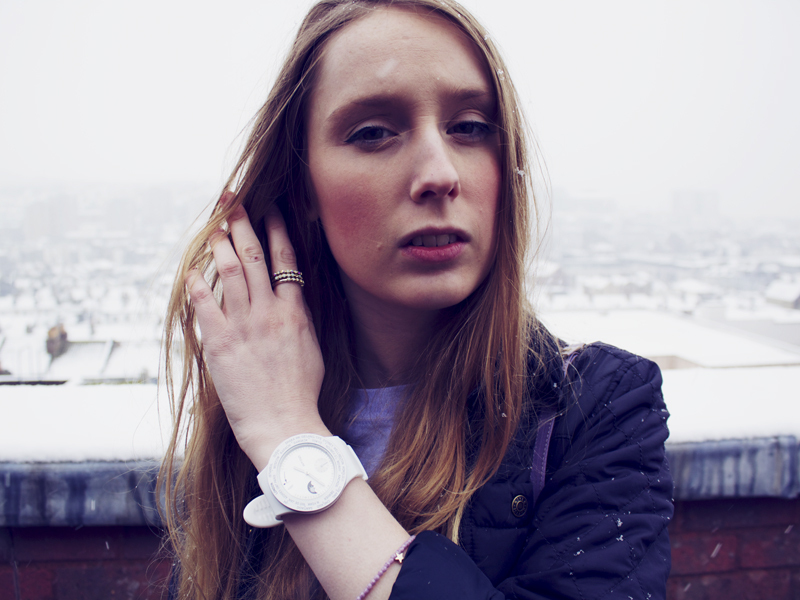 The design of the watch really caught my eye and I just had to get one in white to wear in more sunny conditions. 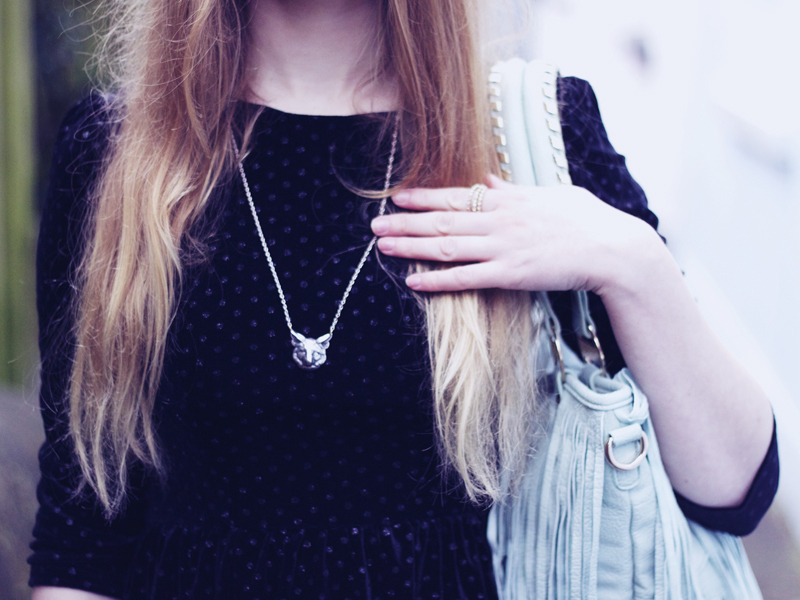 I decided to try out a new layout for my outfit details. Instead of having a list of what I wore I've tried putting them in a row instead. I'm just experimenting with this at the moment so would love to hear your feedback! My blog is always a work in progress so you may often find little bits changing here and there. These faux fur top slipper booties have been keeping my toes nice and cosy throughout these last few snowy days. As I've been travelling to really cold places lately (Iceland and travelling to Estonia this weekend) I've been making the most of having a warm pair of slippers. 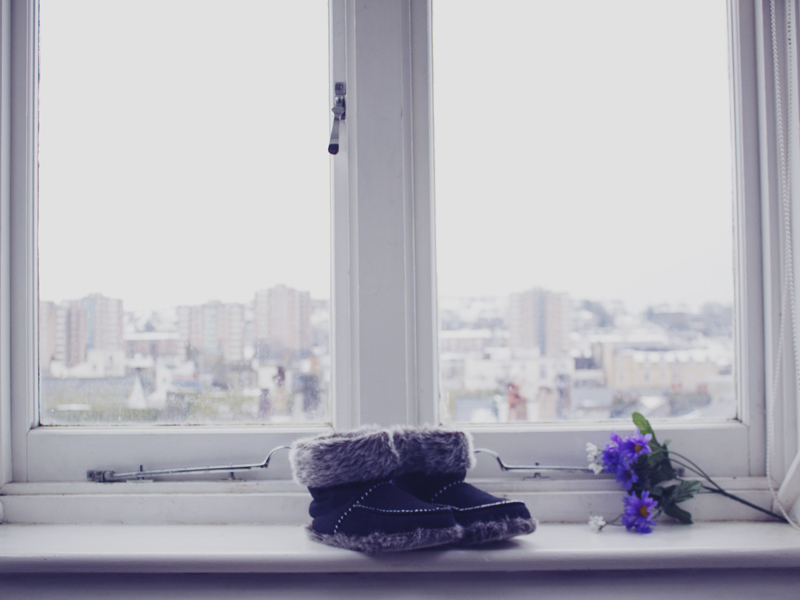 I usually wear a ton of layers if I'm in the house for long as its much better to wear cosy clothes then to put the heating on way up high. 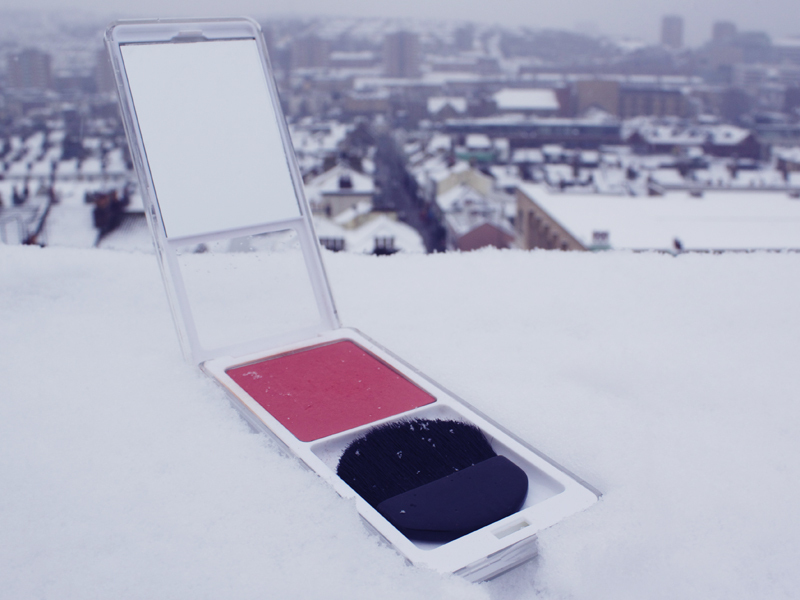 the product Blusher with brush. the look A healthy, post holiday glow. works well with Just a lick of eye-liner on the lids and bare lips. 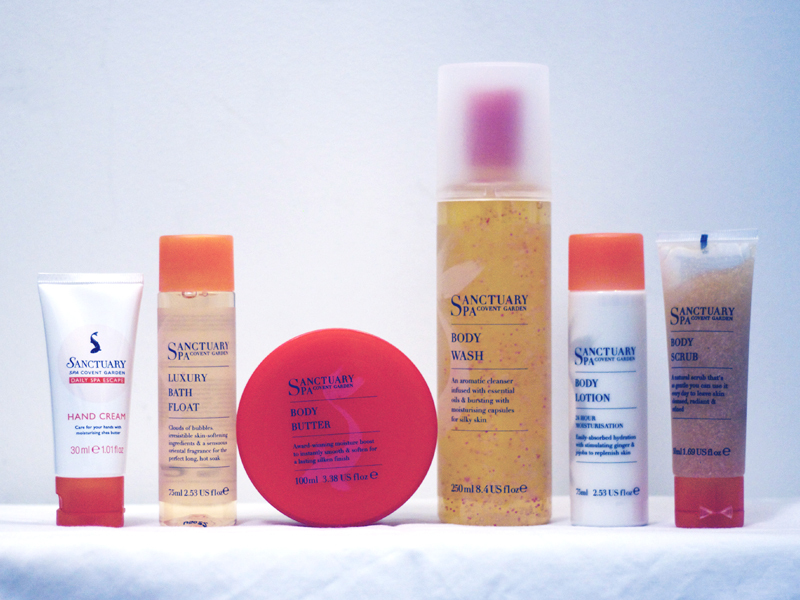 the verdict I absolutely love the fact that Myface Cosmetics have products divided up by what will suit each skin type. As someone with naturally fair skin I do find some blushers can wash me out but this shade really brings out a nice, healthy colour in my cheeks. I also love the design of the product as its easy to hold and reminds me of an ipod, plus the little mirror is really useful. The blusher sweeps easily on but can come out a bit strong if you're not careful. To avoid a too intense look, I recommend brushing any access blush onto the back of your hand before applying the brush to your cheeks. 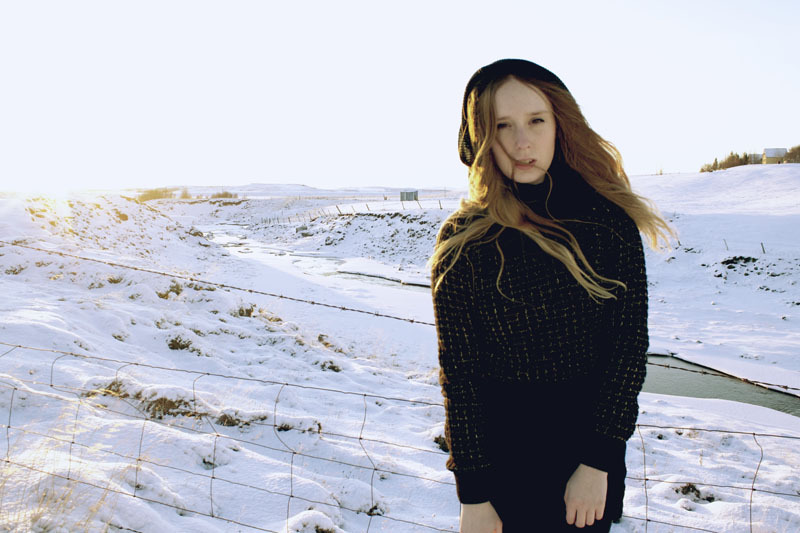 Although we have been getting a lot of snow in England lately, these photos were actually taken in Iceland. The best part of Iceland was when we drove around parts of the country and would pull up to take in the beautiful landscape. 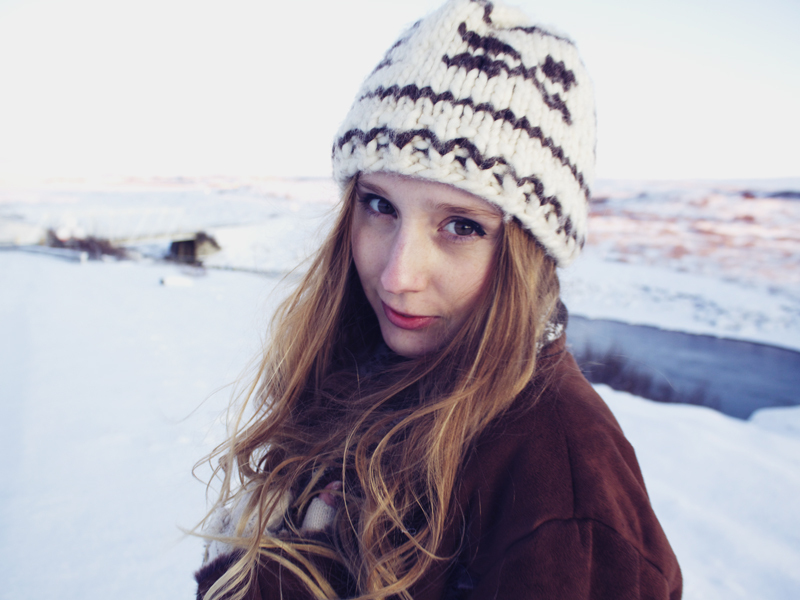 There has been a fair amount of snow in Brighton, but nothing compared to the snow I experienced in Iceland. I really enjoy the snow but you really have to dress up warm for it! I wore my thermals in Iceland and although it has been fairly cold here, it hasn't been so cold I've had to wear them in Brighton. I'm off to Estonia next weekend and reckon it will be pretty chilly there. I'm definitely going to be prepared with thermals, mittens and my woollies! 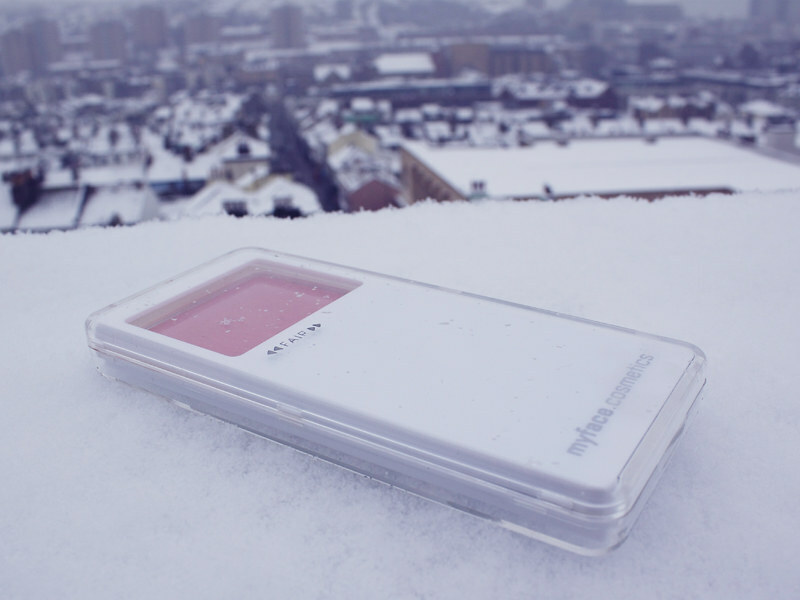 Hope you've all been enjoying the snow where you are! Don't forget to wrap up warm! 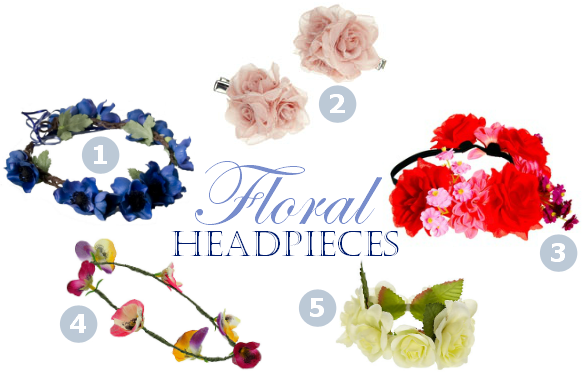 I'm a huge fan of hair accessories, especially headbands and of the floral nature. The Crown and Glory, ASOS and Miss Selfridge ones are headbands, the Accessorize one is a set of two hair clips and the River Island design is designed to be worn over a top bun. Nothing beats a coat that makes you feel stylish yet warm during winter. 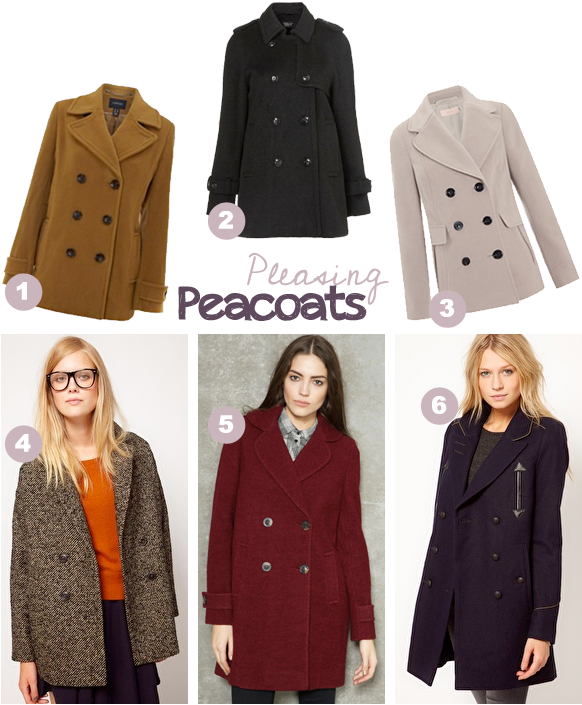 I'm a fan of the peacoat trend because they look great thrown over winter woollies and a great dress. They also look effortlessly stylish left open so you get a peak of your outfit or slung over your shoulders with a couldn't care less attitude. 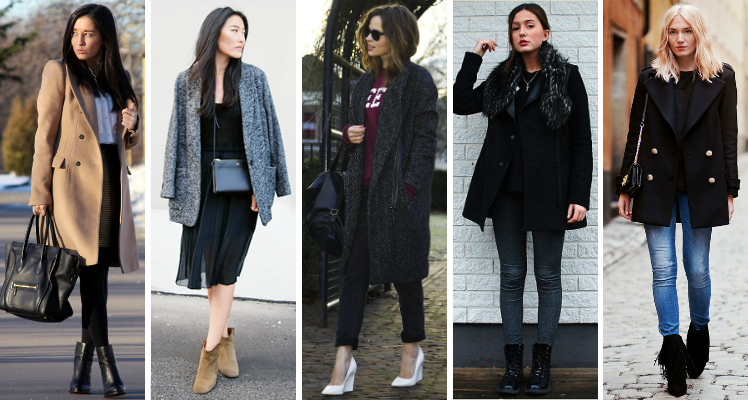 Below are some bloggers who know how to wear this stylish coat. 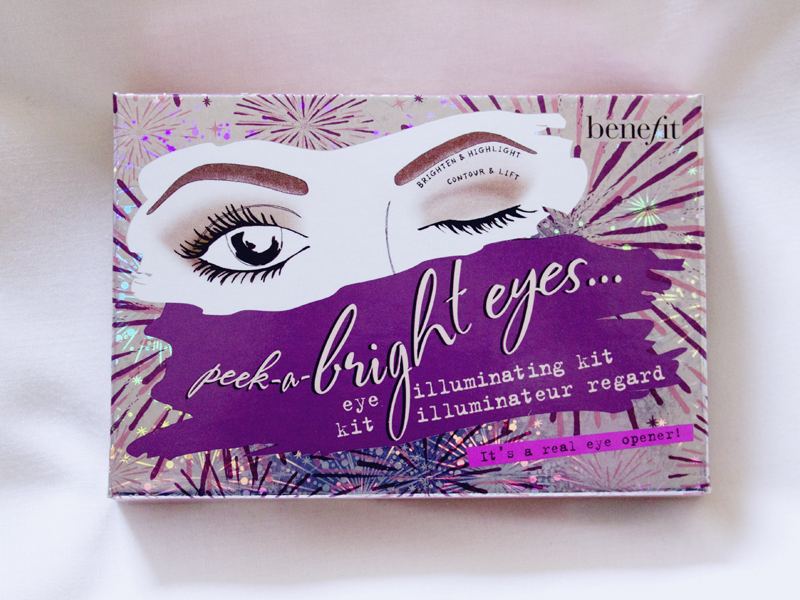 the product Eye Palette with base eye shadow, highlighter eye shadow, contour shadow doubling up as a powder eye-liner, eye bright, concealer brush and eye shadow/liner brush. the look Big and beautiful contoured eyes. works well with An every day look, or if you wish to apply more of the powder eye-liner, works well as a subtle evening brown smoky eye. the verdict I love the look I can achieve with this palette! I don't have much of a talent for contouring normally, but with the right brushes I was able to achieve a really lovely, bright eyed look that lasted all day. I got lots of compliments too. I strongly recommend using your own brushes with the shadows though as I found the eye liner brush it came with really sharp on my eyelids. PS. 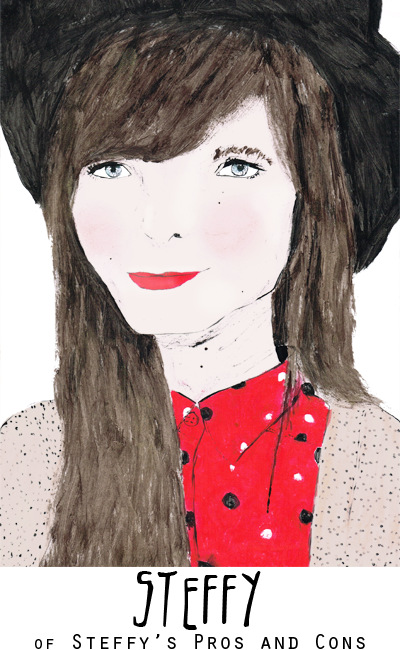 For the next few weeks I'm available for commission for illustrated portraits. Click here for more information. 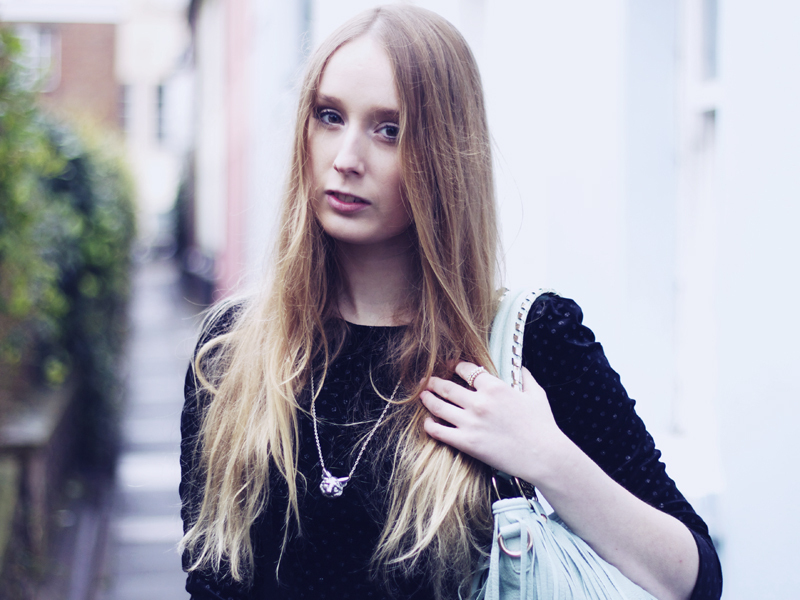 Its been incredibly misty today in Brighton, hence the frizzy hair! My hair is so fine it just goes crazy in misty and foggy weather. I got this quirky fringed bag from Brand Village not so long ago. I fancied something that would be especially good in the summer as all my big bags are black which looks a little dull with summer dresses. Hopefully this little number will brighten up my summer style! I really love the Orelia rings I received from Zalando (an online department store apparently big in Germany). They have a great selection of brands in their jewellery department and also do a range of designer and high-street label women's clothing which you can see here. signature look Peter pan collar and a floral skirt. current favourite wardrobe item J.crew toothpick jeans. random fact Pumpkin spice is my favourite smell and taste! 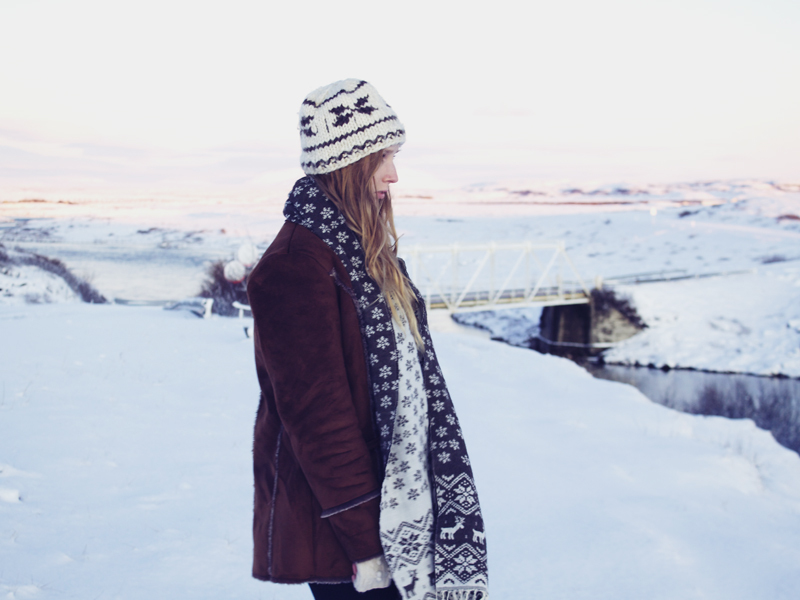 This is a new outfit post from Iceland to keep the blog wintery and seasonal for the New Year. 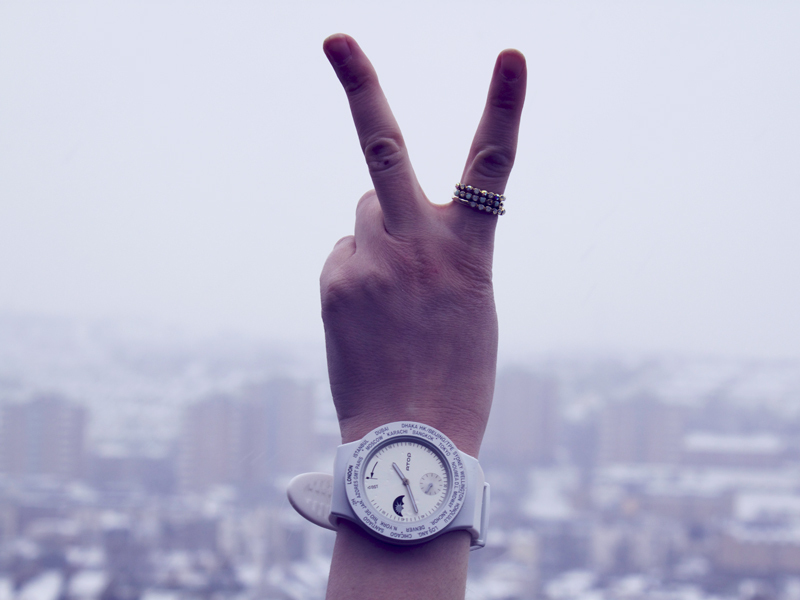 How is 2013 treating you all so far? I have been having a wonderful start to the new year mostly just making plans. I have so many great things I want to do this year and I can't wait to share them with you all! 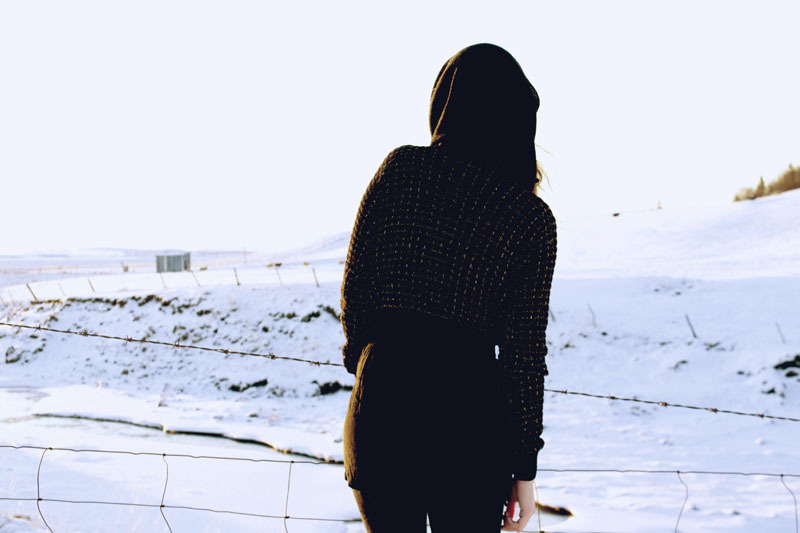 I'm making plans to do some things I have always wanted to do and to go places I have only ever dreamed of going. Do you have any New Years Resolutions? I haven't made any apart from to keep positive and happy, but that's something I usually try to do anyway. Have you had any success in the sales yet? 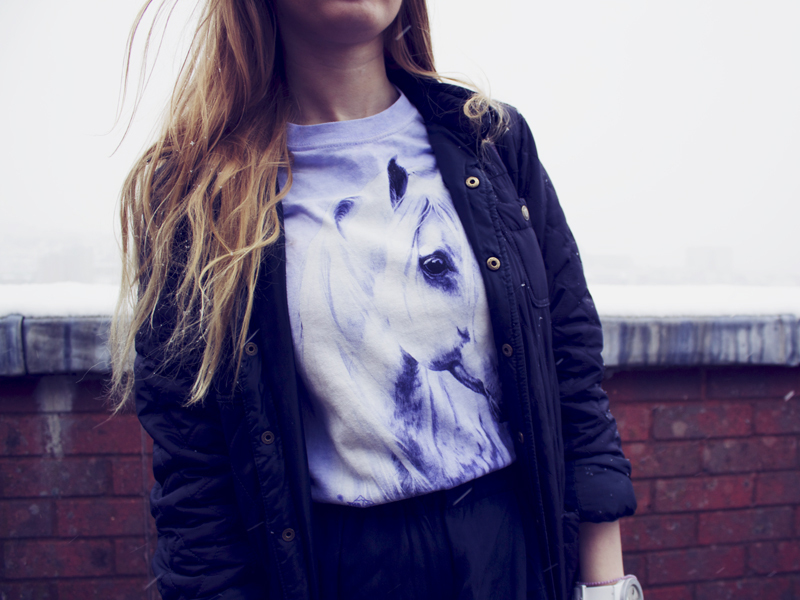 If not, and you are looking for something around the £10 mark then this post is for you! This is my pick of 10 items for under £10 from the online sales. I particularly like the deer vest, shoes and bracelet, what do you like best?